The wheels were kind of iffy for some when they first heard about what wheels he was running but I think it looks good with the centercap on it and all…. 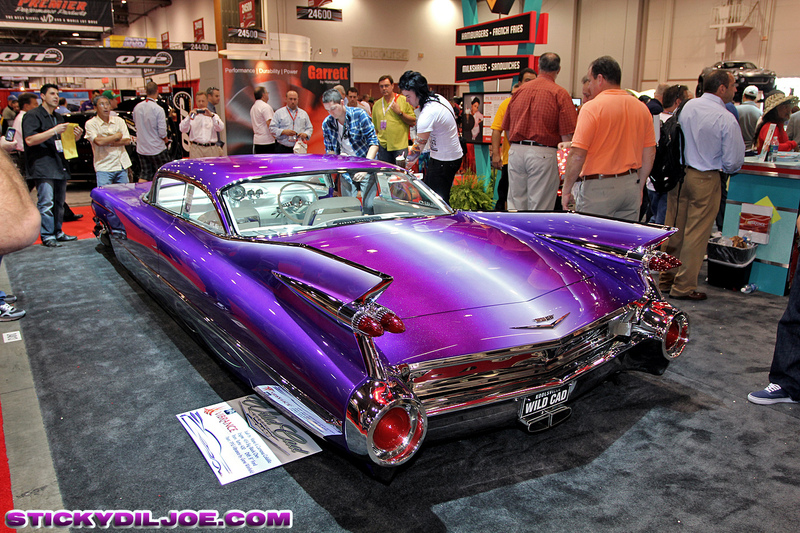 Cant agree with you more about that Purple Caddy. it’s soo intense in person! 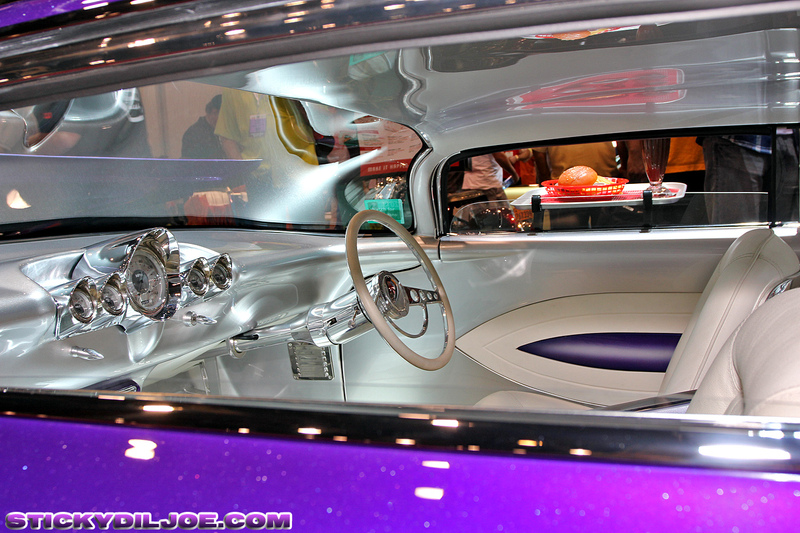 That crazy Purple Caddy came from Australia, hence the RHD. It’s definitely one of my favorite cars at SEMA! The purple Cadillac looks like it eats babies. Sick!!! thanks for the love man!!!! Half the pictures not loading? 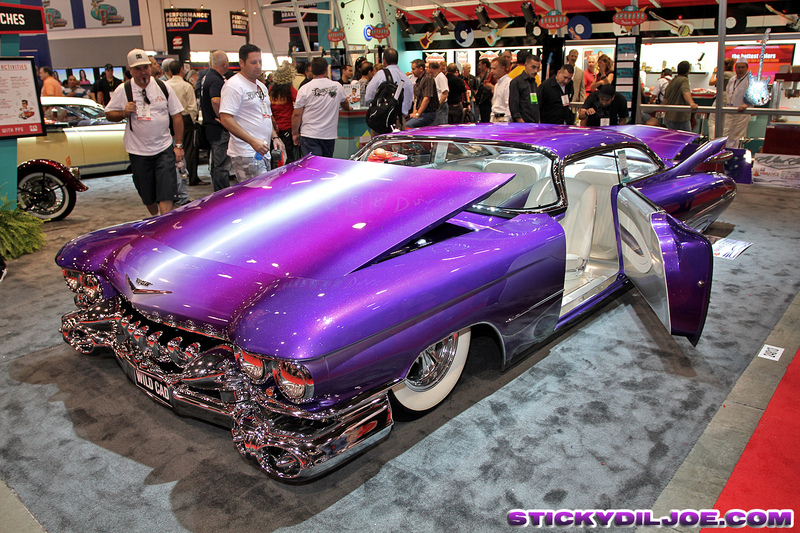 That purple caddy was one of the sickest cars at the show. The details on it is impressive! oh and did you know there was an Earls of Sandwich in Valencia, CA It was the only one in the SoCal area but closed a couple years ago. Wasnt at a very good location and it wasnt as good as the one in PH. LOL. That Gas thing started as a Mustang, bricks were shat when I read that. It is to my regret that I missed this one as I was completely MIA. The scion tC model was a top draw for tuners. I hope SEMA 2012 and 2013 will have a scion.